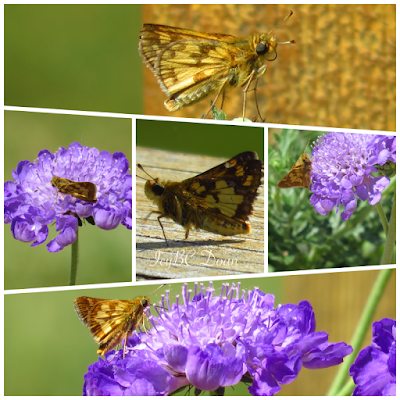 Among the flowers suggested, tickseed was also on the list, and my tickseed flowers are plenty, but both butterfly and skipper don't bother it too much. They landed and left right away. So I am happy because you are lucky. What great shots. 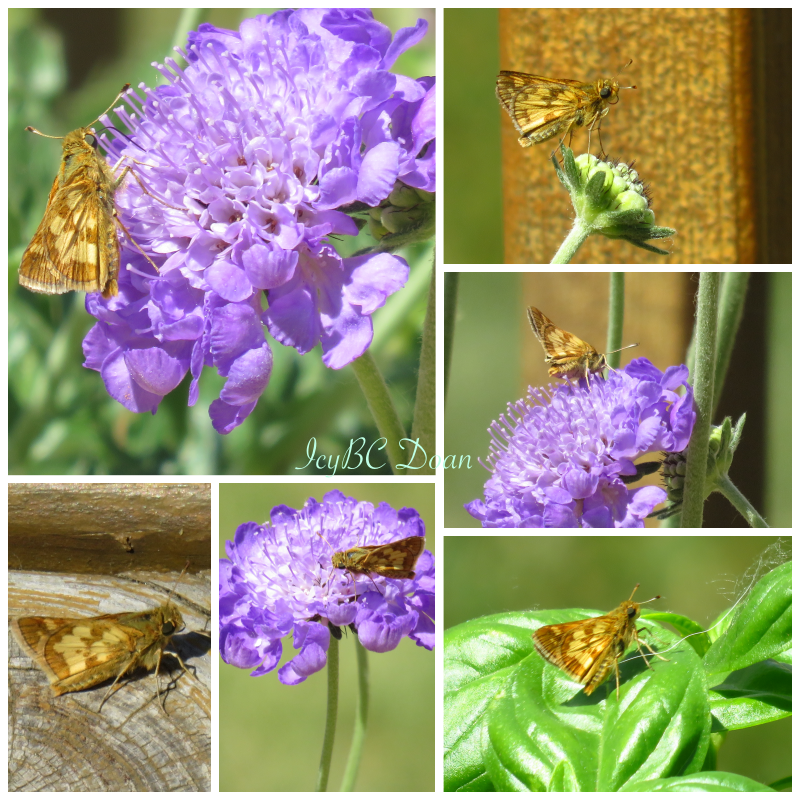 Don't ya just love, butterflies, flowers and summer? Hmmm, not sure my comment went through. i wonder if deer like pincushion flowers and ground squirrels too. I will have to look it up. I want to attract the butterflies, but not have my flowers eaten up.